Book about the Lyngen Alps. 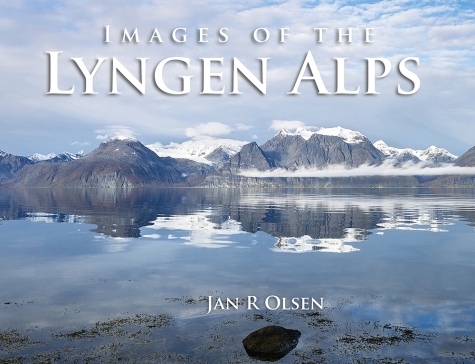 In november 2013, the first book about the Lyngen Alps in nearly 30 years were published by me. Now the english version is here. The book is 24×19 cm (9,5×7,5 in) hardcover, 168 pages and have a total of 150 images included 28 aerial photos, 17 historical photos and 23 panoramic photos. There is also a lot to read, with chapters about the pioneers and the first and second british waves in 1898-99 and in the 1950s. Read also about the Lyngen Peninsula, about it´s protection, facts (highest mountains, longest rivers etc), the geological story, past and present (with 100 year old images and images from today with lots of interesting stories). There is a chapter about the mountain areas, with lots of climbing history and original quotes from pioneers like William Cecil Slingsby, Elizabeth Main and Geoffrey Hastings. All this accompanied with breathtaking aerial images and photos from my hikings in the Lyngen Alps. «Seven easy walks» take you with words and photos to seven wonderful places on the Peninsula. «Sea to summit» is about the skiing all year round, while «The long Lyngen trek» take you from the northernmost point through a nine day walk to the southermost point in the Alps. Last but no least the book ends with my best images from the Lyngen Alps, in the Gallery section, which is divided into Spring, Summer, Autumn, Summer and Black&White.